All of our registration is done online. Please click on one of the enroll buttons at the top of any one of our pages. Our tax ID number is 47-4254466. This number is also on your email confirmation. Please keep this confirmation for your records. This can act as a receipt for your flexible spending account or child care tax credit (if applicable). If you lose your receipt, please go to the Family Account link on our Home Page and login to retrieve a new one. Each camper should bring a lunch, snacks and drinks each day. Since we have an outdoor component , a small water bottle is advisable. Sunscreen and hat is recommended. Please see our policy and waiver concerning the application of sunscreen under our FAQ Risk Management category. Electronic devices are not permitted at camp and will be confiscated until picked up by a parent. Please click here to see The Typical Daily Schedule for 4&5 year olds and older children, ages 6-15. Please call for enrollment in our half day option which is available for the 4&5 year olds only. The half day camper’s schedule will go from 9am – 1pm. Be sure to pack a lunch and snacks. Students in the half day 4&5 year old camps will have recess after lunch but will miss our outdoor component in the afternoon and some science activities. Please note, they will receive three full sessions of science in the morning. NOTE: If they are already going to school, we recommend the full day camp. We have extended day services at all of our locations. The cost is $25.00 per week for Pre Camp, which starts at 8:00 am Post Camp services are from 3:30 – 5:30 pm and cost $35.00 dollars per week. Campers that are picked up later than 5:30 pm will incur additional charges at the rate of $1.00 per minute. Please do not try to drop your child off before 8am. In a pinch, you can pay the daily rate (divide by 5) that morning if you just need services for that day. All parents should make sure they record the Director’s cell phone # in case they need to communicate with the cup site. Each camper will receive one T-shirt with each week they register for camp. T-shirts ARE required to be worn each day of camp. Additional shirts can be ordered at the time of registration. They are currently $12. Also, campers are on the playgrounds of our camps for 30 minutes after lunch. No. In order to gain the most from their camp experience and not to disrupt the structure of the camp , we do not allow partial weeks. We suggest planning early to attend a full week of camp. What if I am trying to register and the camp I want my child to attend has reached its 18 camper limit? Club SciKidz counselors will ensure that hats are being worn and sunscreen is reapplied during the day if necessary. If the Permission to Apply Sunscreen has been signed by parent/guardian, the Director(s) will assist in reapplying sunscreen. The base price for our full day camp is $285. Please call for enrollment in our half day option for 4&5 year olds. Several of the camps have lab fees attached – these are camps that have an extraordinary amount of project supplies. Many of our robot and advanced science camps would be included. Yes, we offer a variety of early bird discounts starting in October and extending until the first week in January. Many campers attend for more than one week. You should make sure you are on our mailing list to receive discount notices. 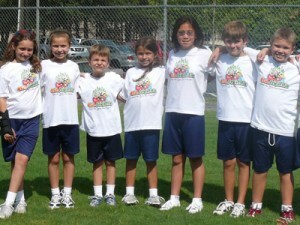 We offer multi-session and multi-sibling discounts of $10 off for each camp registered the entire year. Some of these discount will be taken automatically and some require a code #. The multi discounts are taken automatically. We accept all credit and debit cards using our online registration service. To register, go to our registration page by clicking on “Enroll ”. We also accept checks at our camp locations to pay for T-shirts and extended day services. Club SciKidz not only has a new website, we are introducing several new camps that include: 3D printing, Minecraft, QuadCopter Robotics, iPhone and iPad gaming, Java programming, Stop Motion Animation, RPG Game Design, Cartooning, LEGO EV3 Robotics, and new offerings in our CSI and Chef camps. Our camps are for children and teens ages 4-15. Each camp description has a recommended participation age. Club SciKidz carefully considers the age range for each course as we receive feedback from our instructors, parents, and campers. Our age policy is to allow you to take a course provided you meet the age requirement by September 1st of the camp year. Example: If you see a course for “ages 6-8” and your child is currently 5 but will turn 5 by September 1st of the camp year, you can register your child for that course. Please note that you will see some camps listed in the 6-11 and 12-15 age categories. As children move towards middle school age, parents can choose to place their child in either group depending on the child’s abilities and experience with the subject matter. However, be aware that the older group’s conversation will sometimes turn more mature. If you have any questions, please call us. 285-435-4721. Since we have taken into account many considerations in matching our age groups and camp themes, we generally like to adhere to those requirements. Please remember that an age group contains not only a certain intellectual and skill set, but also a certain level of social maturity. These requirements allow Club SciKidz to meet the needs of each camper. If you have additional questions, please feel free to call us at 285-435-4721. If your child has to be given medications at camp you must fill out our medical form and take that form to camp on the first day. All medications must be given to our Camp Director at check-in. The medication must be in original containers that identify, the prescribing physician (if a prescription drug), the name of the medication, the dosage and the frequency of administration. The medication will be dispensed as instructed by you. This policy also includes Epi-Pens. Campers are not allowed to hold onto their Epi-Pens.